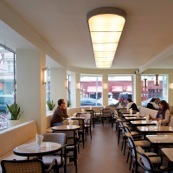 Recognized and protected as a cultural heritage site, we continue this rich tradition by maintaining the 70-year old foundation and original ornamentation. 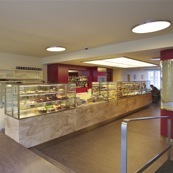 Please see in the pictures below. 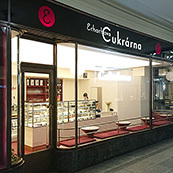 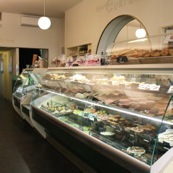 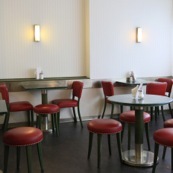 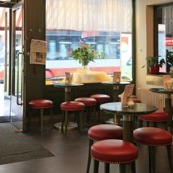 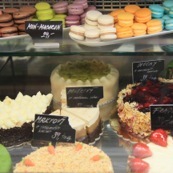 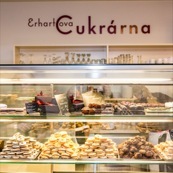 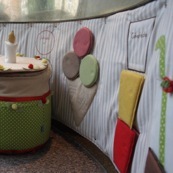 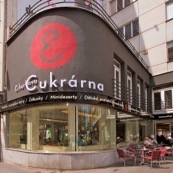 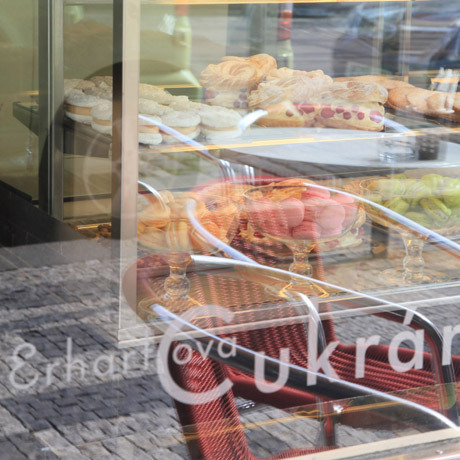 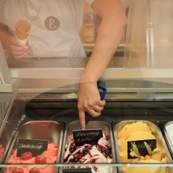 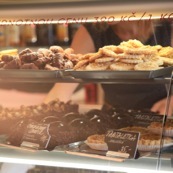 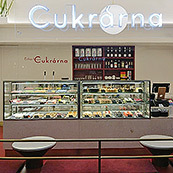 In May 2012 we opened the second Erhart’ Cafe in Vinohrady. 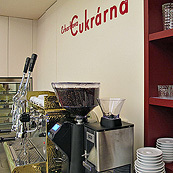 It is situated in a beautiful functionalistic house built by famous architect Alois Krofta. 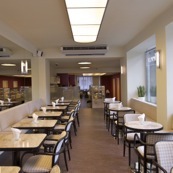 We did our best to maintain the clean functionalistic style, while renovating the interior. 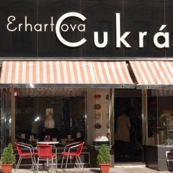 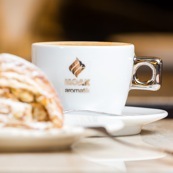 For those, who prefer to dwell in the city centre, we offer our third small Erhart’ Cafe located in the very heart of Prague – just next to Wenceslas square.